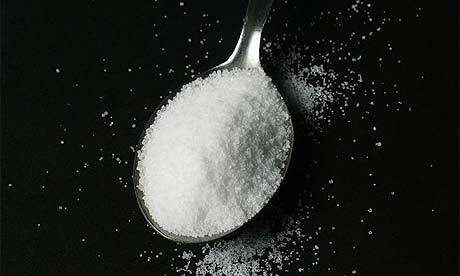 One teaspoon of salt per day - a maximum of 6 g - is all an adult requires. Young children need much less than this amount. Too much sodium in the diet may lead to high blood pressure. 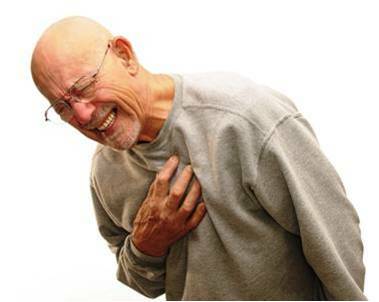 Increase in blood pressure above the normal range increases the risk factor for heart disease. Most people with high blood pressure will be told to reduce their sodium intake. 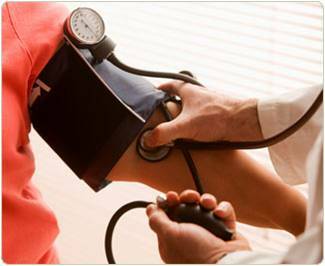 If you have high blood pressure you are advised to discuss this issue with your doctor. High salt intake has also been linked to an increased risk of stomach cancer in some studies, but not in all (World Cancer Research Fund Report 2007). 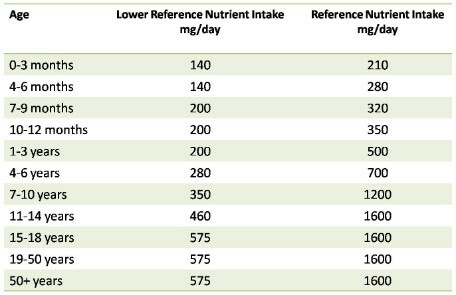 Sodium occurs naturally in most foods. The most common form of sodium is sodium chloride, which is table salt. Meat, milk, beets and celery also naturally contain sodium, as does drinking water, although the amount varies depending on the source. Sodium is also added to various food products. Some of these added forms are monosodium glutamate, sodium nitrite, sodium saccharin, baking soda (sodium bicarbonate), and sodium benzoate. These are ingredients in condiments and seasonings such as Worcestershire sauce, soy sauce, onion salt, garlic salt, and bouillon cubes. 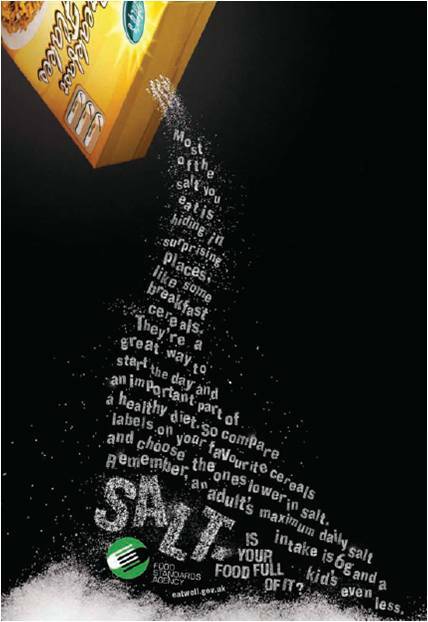 Bread, meat and breakfast cereals contribute most to the salt in the UK diet.